As you may have heard, we’ve recently partnered with Yoco to bring you an integrated payments and point-of-sale system in South Africa. South African small businesses have long battled to get card machines from banks, facing long contracts and rates. Yoco are changing the face of mobile payments so you never miss a sale, offering affordable readers, no contracts and competitive rates. The time a customer spends waiting in line to pay can dramatically impact their experience. A recent study indicates that retailers lose 10% of footfall due to queue and wait times in store. Integrated payments speed up the checkout experience so queues keep moving, which is good for you and even better for your customers. Nicholas Haralambous, founder of sockwear brand Nic Harry, has three stores between Capetown and Johannesburg. Adopting an integrated solution has allowed the team to deliver a great customer experience. Many South African retailers choose to deal primarily in cash to reduce costs, but you might be surprised to hear that accepting cash payments comes with a high cost, often hidden in labour and time. Managing cash isn’t just costly and time consuming – it also makes your business a target for robbery and theft. Offering mobile payments means less cash on site, reducing costs and risk of theft. Cash is still a hugely popular payment option, particularly in low value transactions, but as the adoption of smartphones and digital payment technologies continue to improve mobile payments will be a game-changer for South African retailers. Integrating your POS and payments solution means you’ll free yourself from the time-consuming process of entering and reconciling transaction information. If staff members are making mistakes on either the card machine or POS, this can become an accounting nightmare. Payments flow directly from Yoco to Vend, eliminating user errors and manual end-of-day reconciliations. This means you can spend less time on payments, and more time focusing on growing your sales and profits. 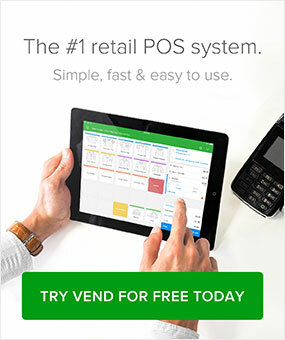 Want to find out more about what Vend and Yoco can do for your business? 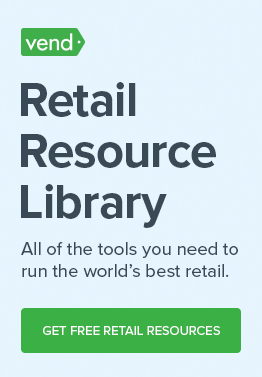 Get in touch with our team of retail specialists today! Zoe leads Vend's marketing initiatives in Europe, Africa, and the Middle East. She began her career working in retail in fashion and cosmetic stores for seven years, before moving to the world of tech start-ups. Based in our London office, she's always on the lookout for inspiring retail stories, and works closely with key partners like Apple, PayPal and Xero.